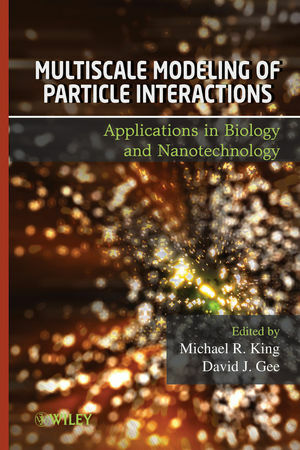 With this book as their guide, readers will gain a new appreciation of the critical role that particle interactions play in advancing research and developing new applications in the biological sciences, chemical engineering, toxicology, medicine, and manufacturing technology The book explores particles ranging in size from cations to whole cells to tissues and processed materials. A focus on recreating complex, real-world dynamical systems helps readers gain a deeper understanding of cell and tissue mechanics, theoretical aspects of multiscale modeling, and the latest applications in biology and nanotechnology. Each article was contributed by one or more leading experts and pioneers in the field. All readers, from chemists and biologists to engineers and students, will gain new insights into how the latest tools in computational science can improve our understanding of particle interactions and support the development of novel applications across the broad spectrum of disciplines in biology and nanotechnology. MICHAEL R. KING, PhD, is an Associate Professor of Biomedical Engineering at Cornell University. King is an expert on the receptor-mediated adhesion of circulating cells, and has developed new computational and in vitro models to study the function of leukocytes, platelets, and stem, stem and cancer cells under flow. He is a former Whitaker investigator, a James D. Watson Investigator of New York State, and an NSF CAREER Award recipient. King received the 2008 ICNMM Outstanding Researcher Award from the American Society of Mechanical Engineers, was the 2007-2008 Professor of the Year in Engineering at the University of Rochester, and received the 2009 Outstanding Contribution for a Publication in the international journal Clinical Chemistry. DAVID J. GEE, PhD, is an Assistant Professor of Mechanical Engineering at the Rochester Institute of Technology, where he studies the inflammatory response and investigates applications in receptor-mediated adhesion. Previously, Dr. Gee was a research assistant professor and postdoctoral fellow in the Department of Biomedical Engineering at the University of Rochester, where he studied inflammation, and has also served as a research engineer at the Institute for Advanced Technology at The University of Texas at Austin, where he specialized in impact mechanics and computational solid mechanics. 1 Introduction (Michael R. King and David J. Gee). PART I: APPLICATIONS IN NANOTECHNOLOGY. 2 Multiscale Modeling of Nanoscale Aggregation Phenomena: Applications in Semiconductor Materials Processing (Talid Sinno). 3 Multiscale Modeling of Rare Events in Self-Assembled Systems (Dmitry I. Kopelevich). 4 Continuum Description of Atomic Sheets (Constantine Pozrikidis). 5 Coulombic Dragging and Mechanical Propelling of Molecules in Nanofluidic Systems (Petr Král and Boyang Wang). 6 Molecular Dynamics Modeling of Nanodroplets and Nanoparticles (D. Lussier, N.M.P. Kakalis, and Y. T. Ventikos). 7 Modeling the Interactions Between Compliant Microcapsules and Patterned Surfaces (Anna C. Balazs and Alexander Alexeev). PART II: APPLICATIONS IN BIOLOGY. 8 Coarse-Grained and Multiscale Simulations of Lipid Bilayers (Harry A. Stern). 9 Stochastic Approach to Biochemical Kinetics (Ian J. Laurenzi). 10 In Silico Modeling of Angiogenesis at Multiple Scales: From Nanoscale to Organ System (Amina A. Qutub, Feilim Mac Gabhann, Emmanouil D. Karagiannis, and Aleksander S. Popel). 11 Large-Scale Simulation of Blood Flow in Microvessels (Prosenjit Bagchi). 12 Molecular to Multicellular Deformation During Adhesion of Immune Cells Under Flow (David J. Gee and Michael R. King).